Located between Zell am See and the Gasterteintal valley, and just under an hour from Salzburg airport, Rauris is located in the Hohe Tauern National Park. It is a very pretty area with glorious alpine views and a very Austrian feel. The village was formerly a centre for gold-mining but now offers a ski area ideal for beginners, families and mixed level groups. 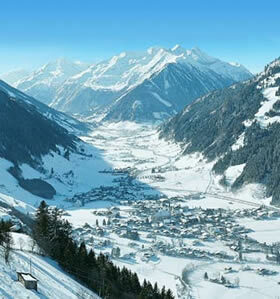 The destination has pretty gentle terrain and activities away from the slopes include floodlit tobogganing. The resort has childcare facilities as well as wellness / spa facilities for the adults to relax and rejuvenate. Summer holidays can also be as action-packed or as relaxed as you want. Over 150 km of marked hiking paths give you the perfect opportunity to get to know the beautiful Rauris Valley. The romantic Seidlwinkel Valley offers outstanding scenery and hiking, with the 500-year-old Rauriser Tauernhaus, the Krumltal and Brualm where you can also walk alongside the roosts of the recently reintroduced Bearded Vultures. typical restaurants and reasonable choice of eating places available. cosy mountain huts, apres ski bars and lively umbrella bars.